Editor’s note: This report has been updated using a recording of the meeting. 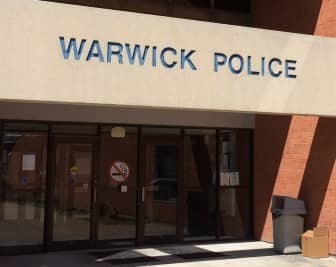 WARWICK, RI — The Warwick City Council approved release of $6.1 million in school improvement bond funding to the Warwick School Department Monday night at Warwick Police Headquarters, 99 Veterans Memorial Drive. unanimously by the Council, said Coucilor Jeremy Rix Monday night. The vote followed a successful vote for the measure in the Finance Committee, which met at 5 p.m. then recessed until about 8 p.m. to wait for Warwick Schools Finance Directory Anthony Ferrucci to attend. In October 2018, School officials reported the $40 million bond would be allocated as follows: $13,138,637 for mechanical improvements; $11,486,016 for ADA compliance; $9,034,233 for new roofs; $2,352,356 for fire and life safety upgrades; $2,100,000 for “all student access” playgrounds; $1,077,283 for interior upgrades; and $811,476 for asbestos abatement projects. During the Finance Committee Monday night, School Committee Chair Karen Bachus. Bachus said the Committee’s consultant, architectural and engineering firm SMMA, had assessed the School Department infrastructure, finding the districts’ buildings in need of improvements costing more than $238 million, “To get them into good condition,” Bachus said. The $6.1 million release from that bond will funding the first year’s projects, running from 2019 through 2020. “We will replace six out of 13 schools’ fire alarms that are in dire need,” Bachus said, and repair three schools’ roofs, make accessibility improvements at one school and create two ADA –accessible playgrounds, and install a district-wide building security system. Bachus also noted the RI Department of Education has agreed to reimburse the City of Warwick for a percentage of about $45 million of approved improvements. “All $6.1 million worth of projects being pursued this year are included in RIDE’s approval,” Bachus said. Of the $6.1 million approve, Bachus said, the state will take on $ 2.4 million, leaving the City with only $3.7 million to shoulder. She noted that failing to complete the approved projects within five years will jeopardize the state reimbursement funds, making the timely approval of the release of the funds a critical step. Rix asked when the work would be put out to bid and begun. “Most of the work is done over the summer,” Thornton said. He said the bidding committee would start meeting Tuesday to requests bids for the fire alarm work. Council President Steve Merolla asked how the School Committee would make itself accountable for completing the work. Thornton noted the School Department would maintain a public website where that progress would be recorded, and that the department would also send those updates directly to the City Council. Councilman Ed Ladouceur asked Superintendent Phil Thornton how much money Warwick Schools had saved this year from closing three school buildings: Veterans Memorial High School, and two elementary schools. Thornton deferred the question to School Department Finance Director Anthony Ferrucci, who arrived later that evening. Ferrucci said the department realized an average savings of $1.2 million per elementary school closed. He said there was some savings from repurposing Warwick Veterans High School into a junior high school, but he did not know exactly how much. He said a rough estimate of the savings there would be about $250,000. When asked by Ladouceur and Merolla, Ferrucci said the total savings could be between $3 million and $4 million. He said the savings were used on instruction, mostly in the process of establishing a middle school model and busing. Some of the savings were also used to increase building maintenance funding to $800,000 to meet state law requirements. Ferucci. After a follow-up question from Ladoceur, Ferrucci estimated that switching to the middle school model cost $2 million in staffing, and that the bussing cost about $1 million, in addition to the amount used to increase building improvement funding to $800,000. In addition to the website updates, Ferrucci noted the School Department would present a progress report on each year’s work on the improvements every January, when they ask for the next round of funding release from the $40 million bond, and will be able to withhold the next round of funding if they don’t meet their deadline for the work. “But I fully expect it to be achieved,” Ferrucci said.